Renee is a Coach, Relationship Manager, People Leader and Business Developer. As a long serving member of the team at IECL (Institute of Executive Coaching and Leadership), Renee has developed a deep understanding of coaching and leadership through the eyes of IECL clients who span all industries and leader levels. As a senior member of the team, Renee has helped craft the direction of IECL as a centre of excellence for executive coaching and leadership development in the Asia Pacific Region since joining in 2009. During her six years at IECL, three years were in the role of General Manager Client Relationships overseeing the entire function responsible for IECL’s corporate, government and not for profit relationships providing executive coaching services, skills training and customised leadership development initiatives. This experience provided Renee with a unique insight in to and a deep appreciation for the complexity and challenge that a leader faces in today’s world. 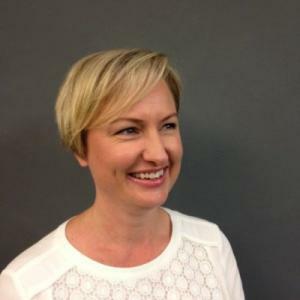 Renee is an accredited coach with a particular interest in working with new or aspiring leaders who are committed to building relationships and engaging in honest, robust conversations. Renee’s coaching style is highly supportive yet challenging and provides a safe space where clients can be vulnerable and open to learning. In addition to coaching and leadership development, Renee’s professional experience extends to training, recruitment, pharmaceutical and wholesale industrial supply industries with core responsibilities including stakeholder management, business development, sales management, strategic planning, team management, account management and resourcing.